It doesn't really look like my dog is telling anyone "Merry Christmas" in this photo, but it really is a very Christmas-y picture and I will tell you how.. If you look at that TV in the background, you will see that "It's a Wonderful Life" is playing. See... Christmas-y. The dog looks like he's going blind in it though, so it's also kind of creepy..
How did you get him to stay still like that? 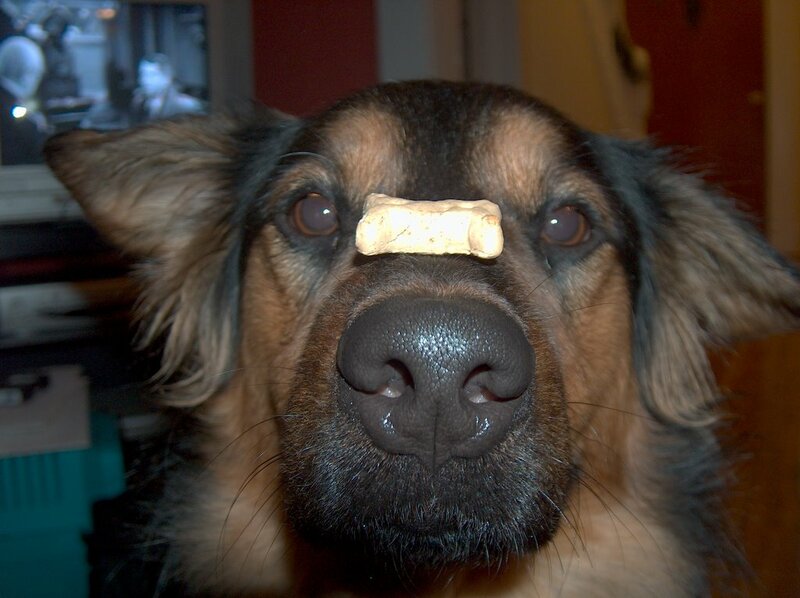 Well, at first I started out by keeping another treat in my hand so that he wouldn't be paying attention to the one on his nose. I don't need the second treat anymore, but I still have to hold his muzzle while I put the treat on his nose.